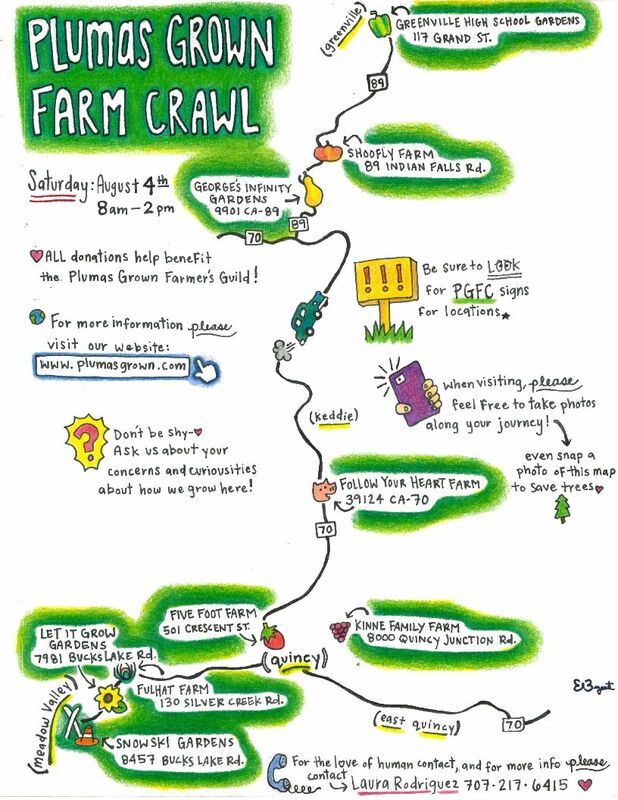 Join us for the 3rd annual Plumas Grown Farm Crawl, a wonderful chance to get out and meet your local farmers and gardeners! Farmers will host tours and have samples of their products, and some will have items available for sale. Visit any or all of the farms in any order you like. Bring the kiddos, friends and family (no dogs please). All of these growers use sustainable growing practices and are happy to chat with you about how they grow. All of the farmers on the tour this year are farming part time, in addition to many other pursuits in life. 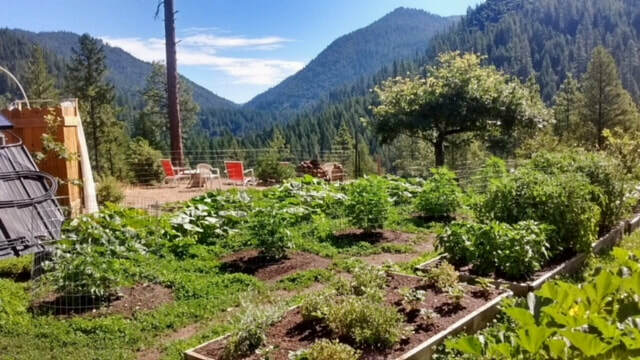 They farm for the love of fresh food, to sustain precious knowledge about food production, and from a desire to build a diverse and abundant local food system in Plumas County! 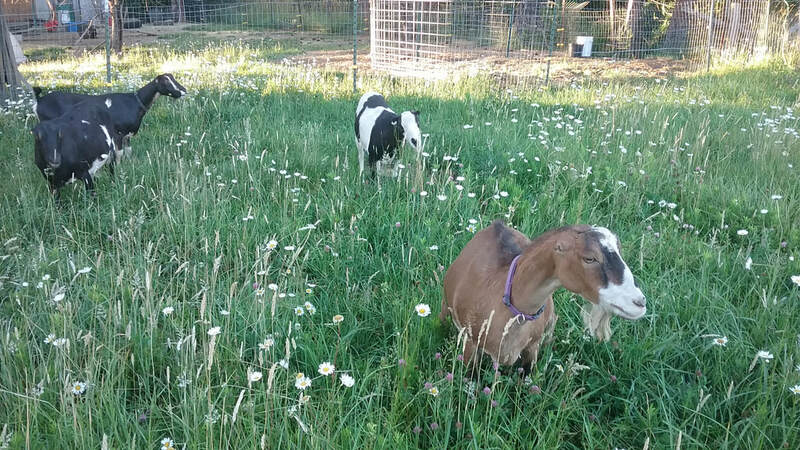 Dax, Kari and Acer are the family behind Shoofly Farm, a small farm in Indian Falls producing a variety of veggies, herbs and flowers. They specialize in producing early tomatoes and decorated garlic braids. They enjoy working the farm as a family and believe that healthy soils build healthy people! Come and join them on the Crawl and ask them all of your burning tomato growing questions! Shoofly Farm is located on Indian Falls Road, just off of Hwy 89 between the Grenville Wye and Crescent Mills. Their hoop house if visible from the highway. Learn more about Shoofly Farm. 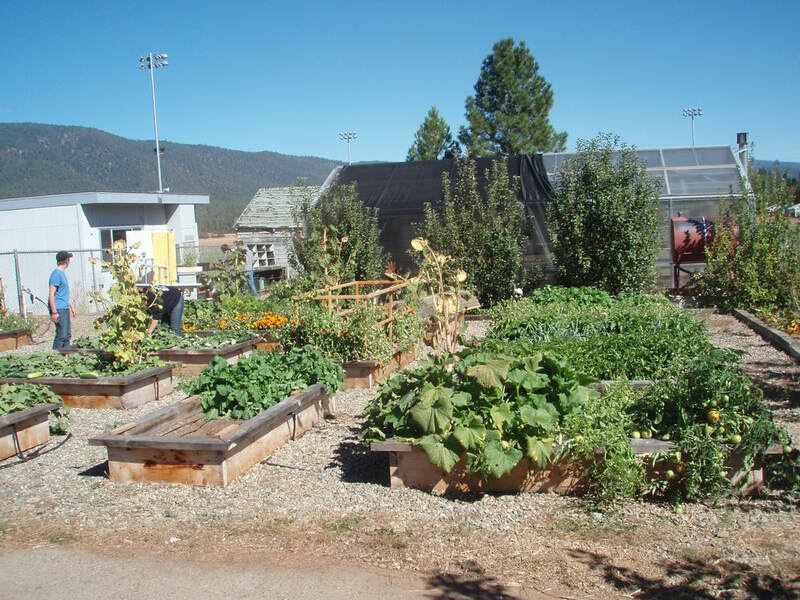 The Greenville High School Garden is run by teacher Dan Brown as a learning laboratory for his high school classes. The garden features a large greenhouse, beautiful raised vegetable beds, cold frames for season extension, and fruit trees. Produce from the garden has been sold to local markets in past years, and is now supplying the school cafeteria. The garden is located inside the Greenville High School campus. Other than radishes, spring onions and some strawberries planted around his suburban home as a child growing up, gardening wasn't much part of George's life. Yet after being asked to collectively grow medicinal marijuana on his property the gardener within was awakened. 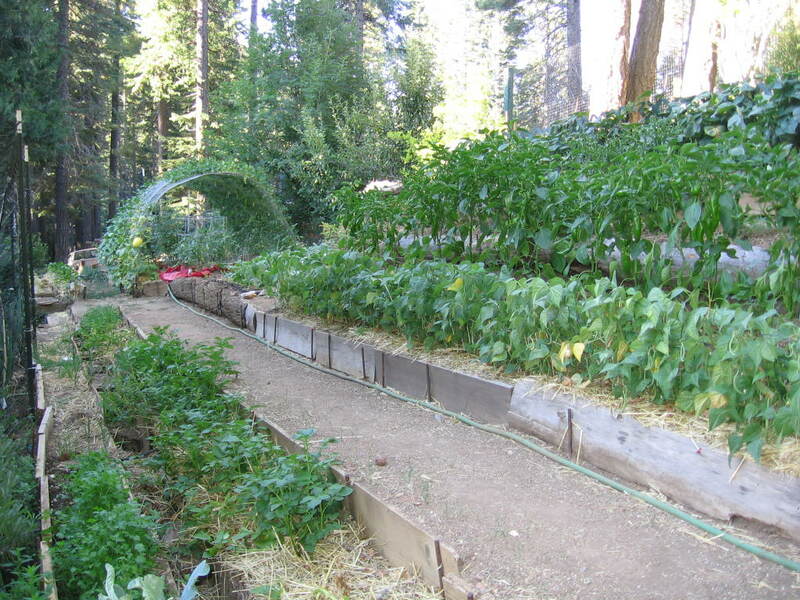 He has since cultivated veggies, herbs, flowers and wild flowers on his off-grid land in the Indian Creek canyon. He tends to his garden with love and shares the yield. To visit George's Infinity Garden, drive 89 North towards Greenville, take the first left onto a nameless road, drive 0.9 mile on a dirt road, turn left, come through a gate, stay to right, please drive slowly to keep dust down. Michelle Fulton and Lovely Hatzell with the help of their nephew Tim Gilbert run a small family farm specializing in organic goat milk and cheese, farm fresh eggs from free-range chickens and their newest endeavor....local honey. They believe in abundance and generosity so the hat by the door is always full of what you may need, hence the name FulHat (also FULton and HATzell from their last names). Have something? Add to the hat. Need something? Take from the hat. The hat is always full exemplifies their philosophy of abundance and generosity. Full Hat Farm is located at 130 Silver Creek Road in Meadow Valley. 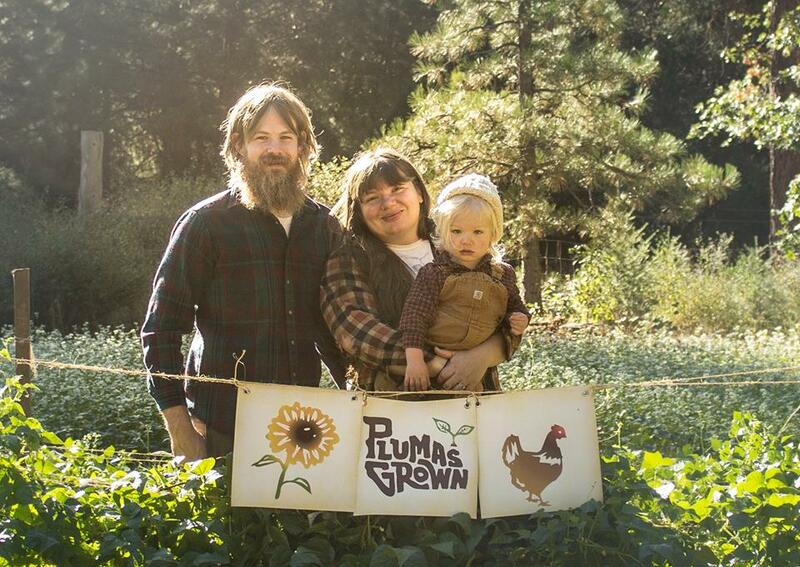 Jeff and Lori Hahn and their daughter Lilyanne moved to Meadow Valley in 2013, when they bought the property that was formerly home to Meadow Valley Organics run by Ben and Suzanne Sawyer. Prior to that Jeff and Lori gardened in Genesee Valley where they grew produce on multiple plots of land for their neighborhood helpers and for sale through Lupine's grocery, the Genesee Store, the Quincy Farmers Market and the High Altitude Harvest CSA. Since moving to Meadow Valley they have expanded their garden twice. Jeff grew up in Iowa and has always had a farm, so this comes naturally to him. Lori’s favorite part about gardening is cooking with all the fresh produce. They have enjoyed having their daughter help in the garden from day one. Her favorite foods are broccoli and dill, and she is now 5 and can lead tours of her own through the garden, and knows almost all of the plants. Let it Grow produces most vegetable row crops, flowers, blackberries and raspberries. Their biggest challenges are the gophers and birds… and frost! This year they got hit with a June 9th frost that took all of their tomato plants. Jeff and Lori love sharing their produce with whoever wants it… Lori is known as the veggie fairy because she makes random vegetable drop offs. Let it Grow Farm is located at 7981 Bucks Lake Rd, which is about half a mile past the old Meadow Valley school house on the right hand side. Paul and Barbara Mrowczynski have a large garden on a 15-20 degree east facing hill with 100+ foot conifers covering over half of the property (elevation 3,970 feet). Tomatoes, lettuce, kale, garlic, shallots, potatoes, cucumbers, pole beans, beets and blackberries are examples of what they have been able to grow. They look forward to sharing the techniques they've used to grow beautiful food at their challenging location. SnowSki gardens is located at 8457 Bucks Lake Road (three tenths of a mile past the Schneider Creek Road) with a pair of white snow skis crossed at the base of our 100 yard driveway on right side of the road. Follow Your Heart Farm is a small market farm owned and operated by Ann Bullard and Laura E. Rodriguez. Emily Bryant, along with the help of several friends, is growing zucchini, Brussel sprouts, tomatoes, kale, potatoes, beans, corn, garlic, beets, and carrots in the garden area this season. She will be on hand to talk about the work they have done. The farm also includes a small fruit orchard, berry patch, and a few Cascade and Buckhorn hops. Their newest venture is a pasture raised pork operation of American Guinea Hog and Kune Kune heritage breeds. Farm fresh eggs are provided to devoted customers. Also available on the tour is a meet and greet with their three pack goats Buster, Bubula, and Mr. White and a chance to see the tiny house on wheels being constructed by Ann. We look forward to meeting you! They are located 3 1/2 miles west of Quincy at 39124 State Highway 70. Elizabeth Powell of Five Foot Farm grows a variety of produce at her 2.5 acre valley floor site in Quincy, where she has been growing for the past 5 years with the help of many employees and community volunteers. 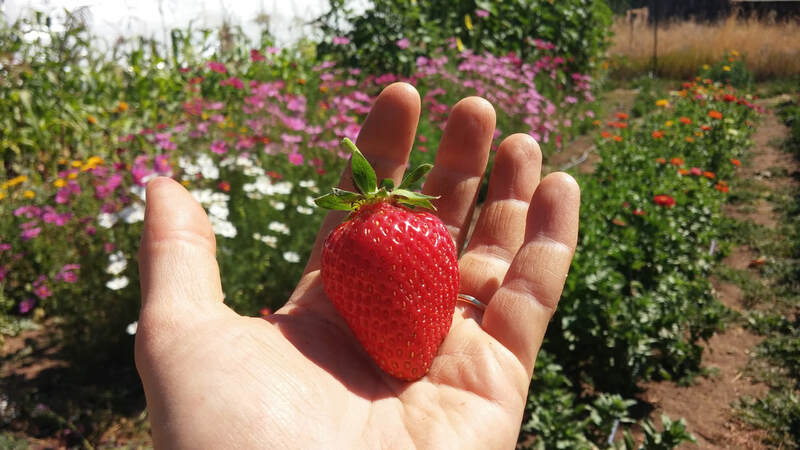 They have scaled back this year to focus on family for a while, but the farm still has strawberries, raspberries, pumpkins, winter squash and a smattering of other veggie crops in the ground. Five Foot Farm has continued to experiment with no-till farming, with the goal of swearing off of tillage by 2019, for the health of the soil and the climate! Five Foot Farm is located across Hwy 70 from the airport in Quincy, next to the big barn. (Address is 501 Crescent St, though it doesn't work with navigation systems.) Learn more about Five Foot Farm. Katherine and Greg Kinne have been gardening at their land off of Quincy Junction Road for about six years now. They grow blackberries, blueberries, raspberries and a variety of veggie crops and fruit trees. Most of their produce ends up on the tables of their friends and family, but they also sell locally through Quincy Natural Foods. The Kinne's are a wealth of information about season extension, fighting off pests, and all the nuances of growing in a mountain valley. They are experimenting with plant propagation this year and next year are considering adding a beehive and chickens. Katherine also makes jams, pickles, salsas, chutney and more. Kinne Gardens is located at 800 Quincy Junction Road, look for the sign that says Kinne Designs.